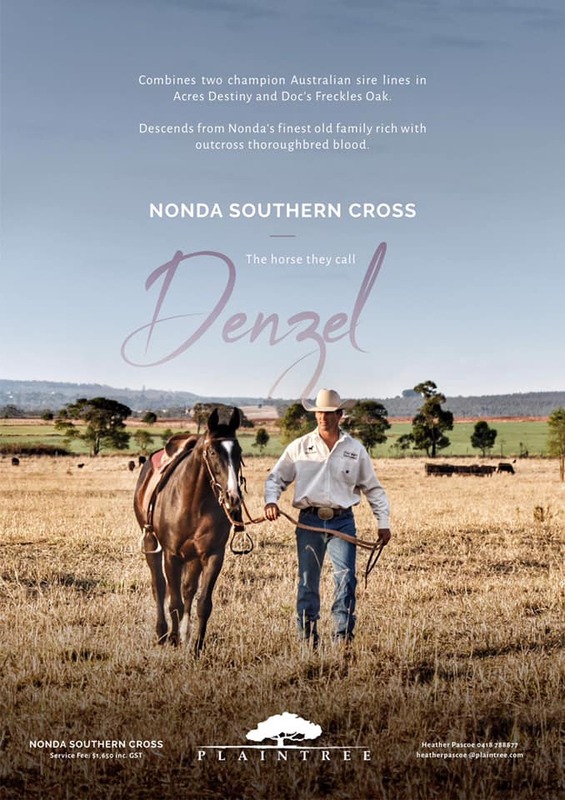 Dr David and Heather Pascoe would like to announce that a percentage of every service fee from Nonda Southern Cross (Denzel) will be donated to two separate and very worthy charities – Beyond Blue and R U OK? 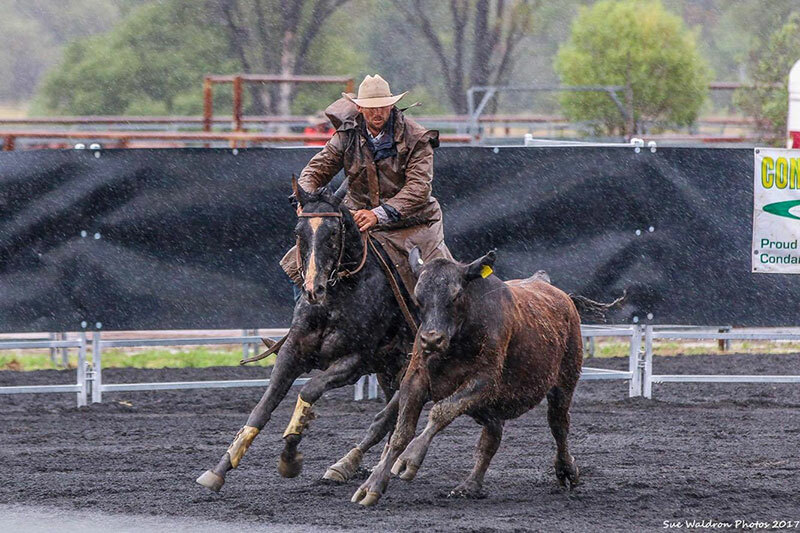 “Denzel absolutely loves to draft and work cattle, and he is a very happy horse who enjoys life to the full – every moment of the day,” said Dr David Pascoe. “We believe that he would love to be a part of helping people find their daily happiness and live their lives to the full as well. “As a small way of honouring the joy this horse brings to everyone who knows him, we have decided to donate a percentage of his service fee to helping mental health services right across rural communities.” Dr Pascoe said. Both Heather and David believe in strong, healthy rural communities and they believe that making Denzel into the poster boy for mental health is a positive step towards not only the prevention of suicide – but also increasing the happiness factor in life for everyone. There’s an old saying in sport that it often takes a lifetime to become an overnight success. 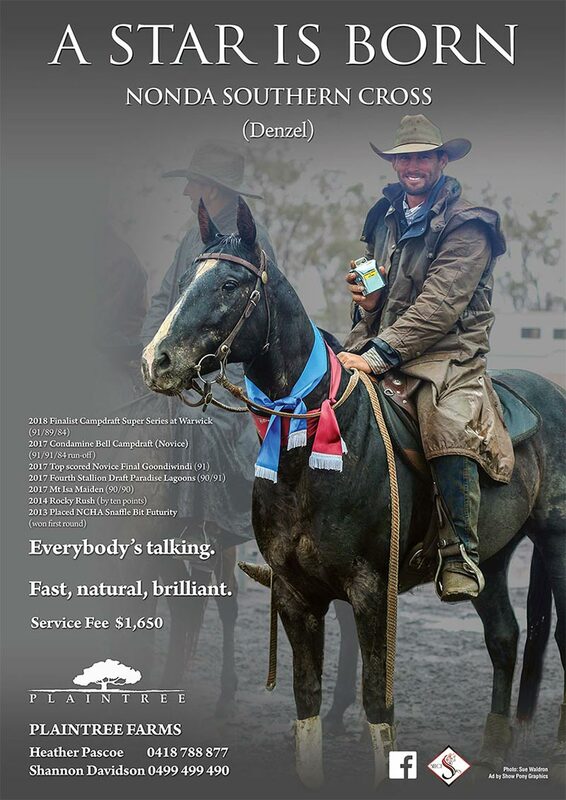 That seems fairly accurate for Nonda Southern Cross, the black stallion fondly known as Denzel that has been attracting a strong following over the last few months. 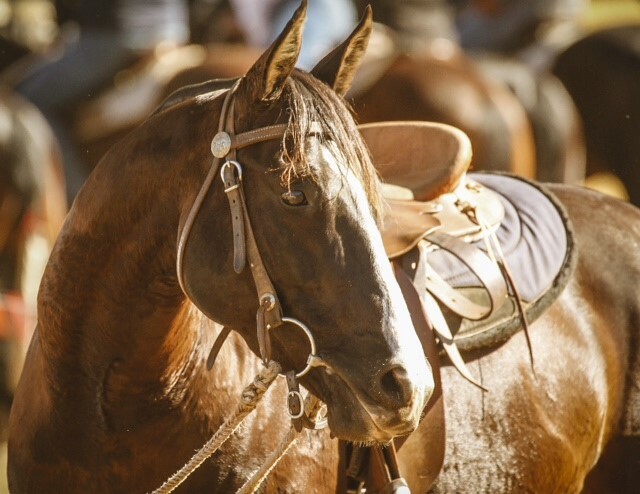 After an impressive start to his career – third in the 2013 NCHA Snaffle Bit Futurity, a big ten-point win in the 2014 Rocky Rush and then a blistering 91 in the novice at Chinchilla at only his ninth start in a draft – Denzel went out for a spell that turned into two and a half years in the paddock while his owners, well known Save the Farmland Activists Dr David and Heather Pascoe, were caught up in the middle of the fight to save our farmland and water resources from the ravages of mining. 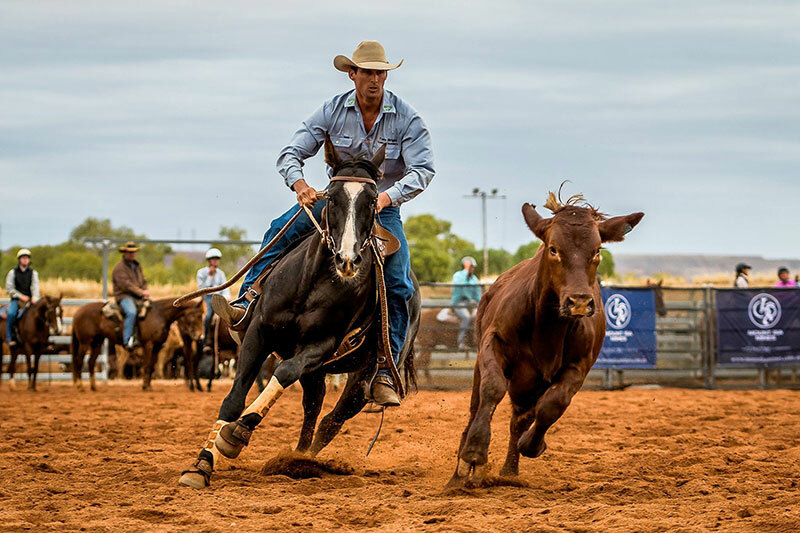 Denzel finally went back to his trainer Jon Templeton in Autumn this year (2017) and, shortly afterwards won the Mt Isa Maiden (A) with a brilliant score of 90 and 90. 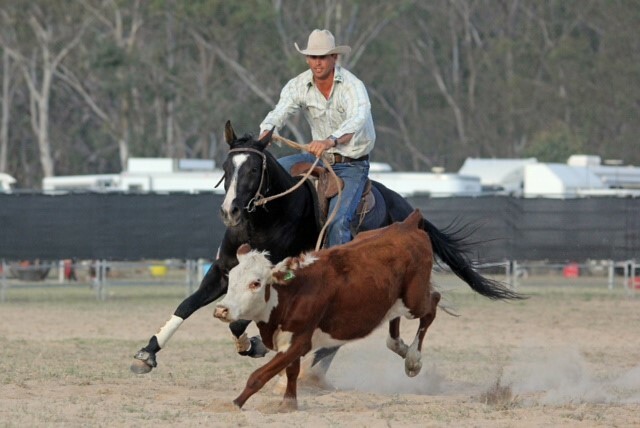 He showed this wasn’t simply a bit of luck with a good fourth in the Mt Isa Novice draft as well. 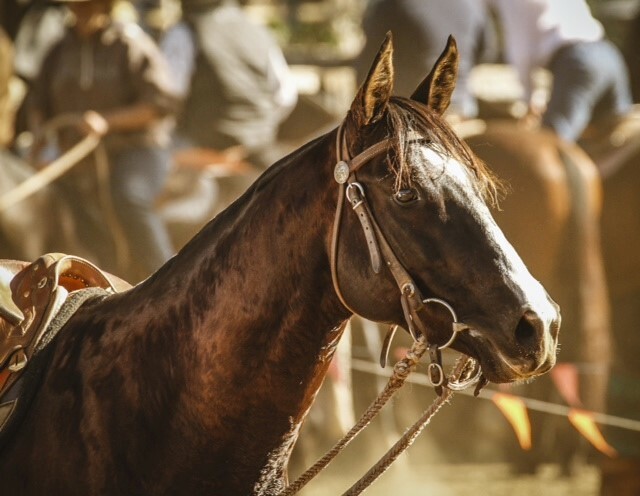 The stallion then captured the attention of all the good judges when he chalked up yet another big 90 and ran fourth in the prestigious Stallion Draft at Paradise Lagoons in July. 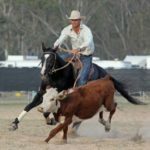 His fast, smooth style has attracted plenty of interest not only from horsemen sitting in the grandstand but he has also rapidly built up a following on social media with people watching his runs from all over the country who are impressed by such an obviously natural cattle horse. 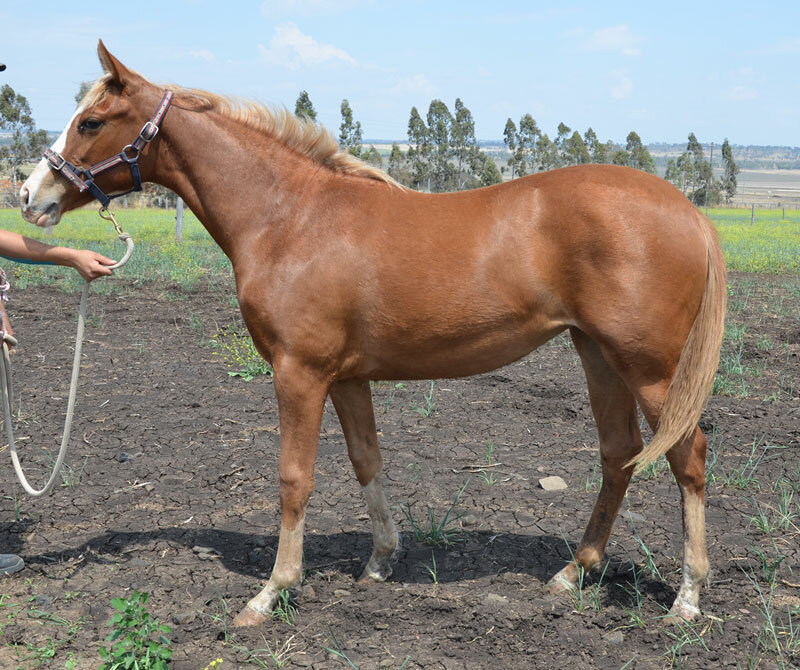 Denzel is a son of Acres Destiny from Nonda Happy Ever After, a daughter of the great sire Doc’s Freckles Oak. 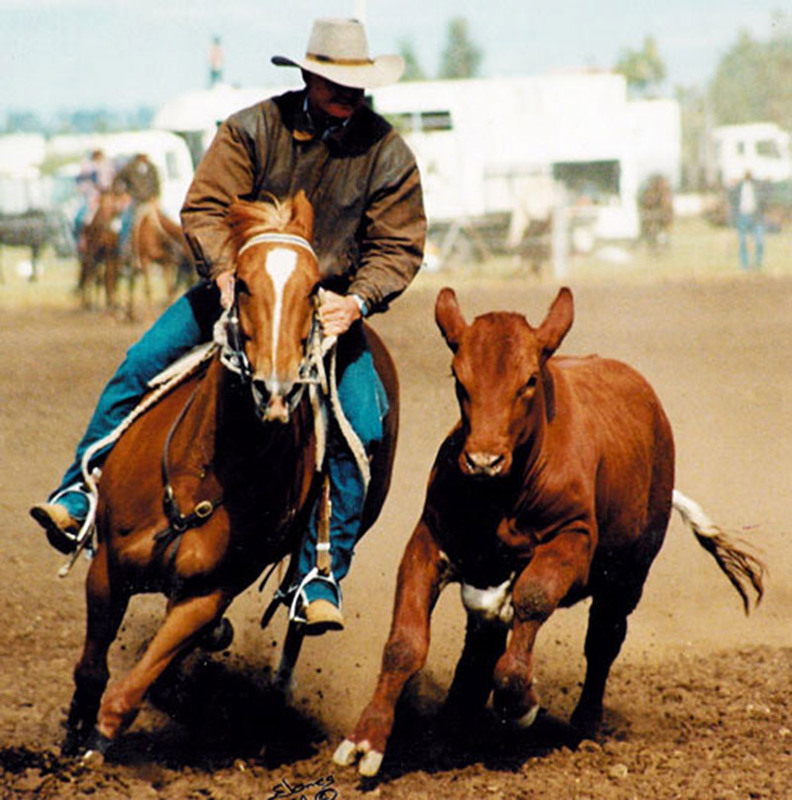 According to David and Heather, he has thrown strongly back to his female family, which has been bred by Heather’s family for nearly 100 years. 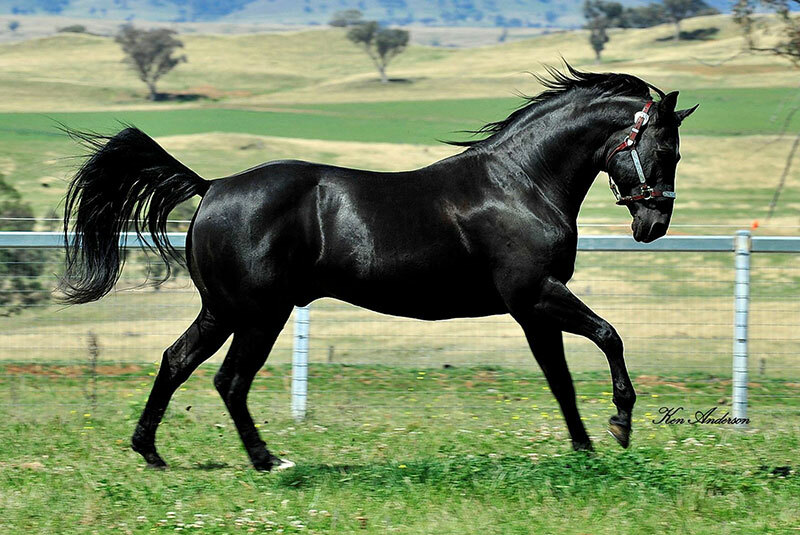 Both his grand- dam Nonda Night Bird and his great-grand-dam Nonda Cuddles were black mares with their own fast, flowing style on cattle. 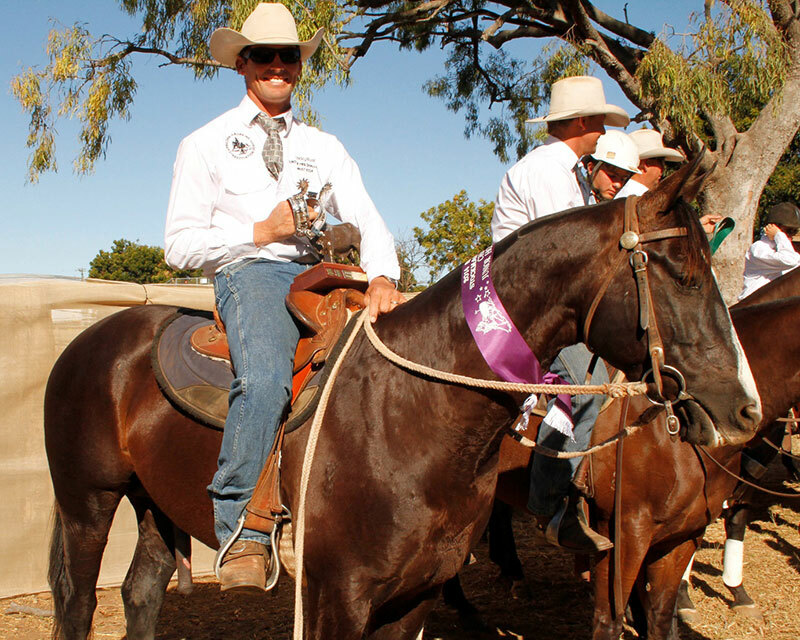 In addition to this, the young stallion carries solid thoroughbred blood right throughout his pedigree. 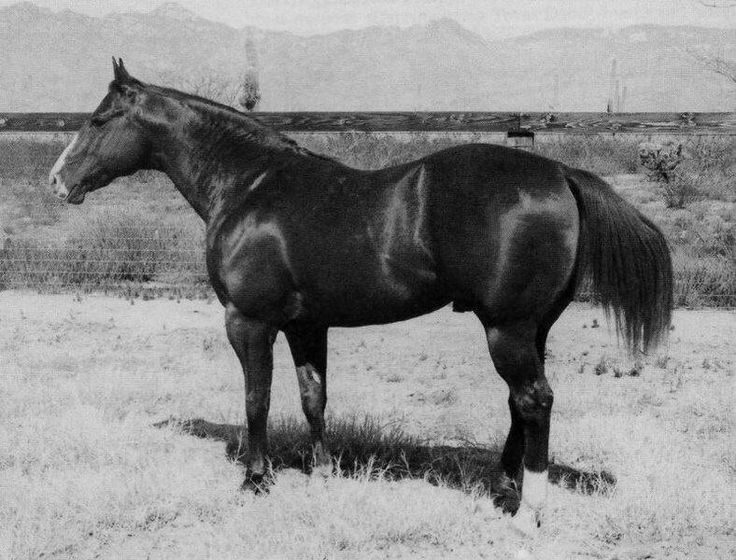 His grand-dam Night Bird was by Skywatch, a thoroughbred colt owned and raced by Heather and her father Reg, and he carries four crosses of the legendary thoroughbred sire Nearco as well as three crosses of the Melbourne Cup winner Hall Mark, a grandson of the legendary sire Valais through his female family. 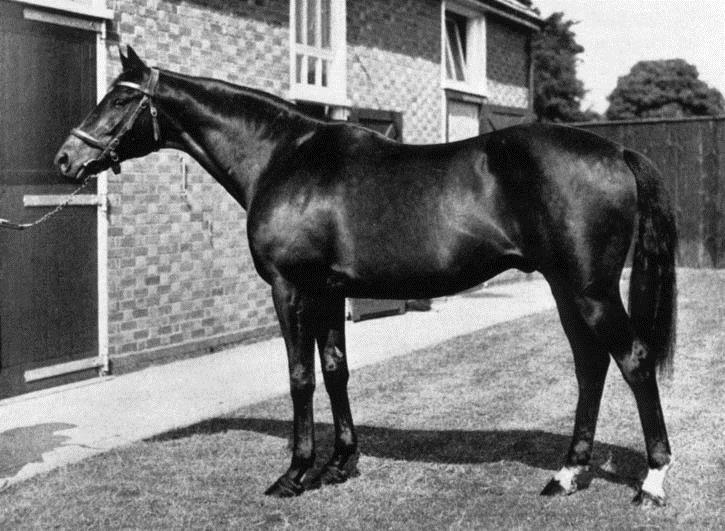 On his sire’s side he also picks up three crosses of Lightning Bar, who was a three-quarter thoroughbred by Three Bars (TB). 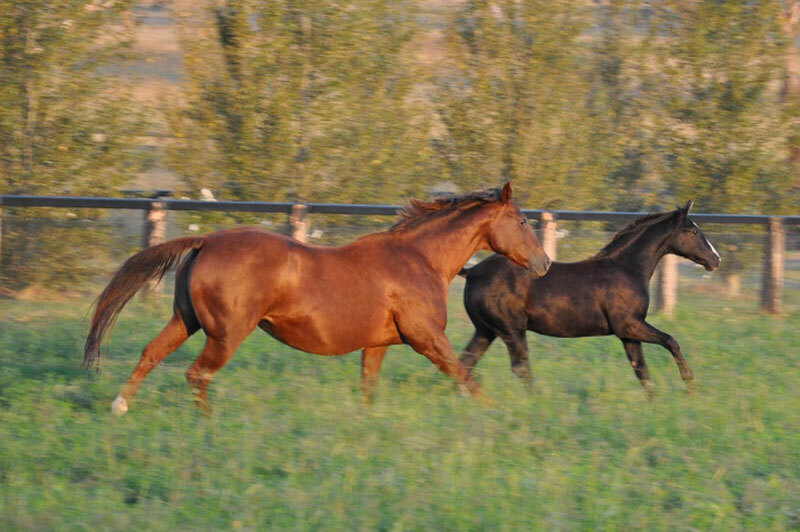 “We have always infused thoroughbred genetics through our station horses and, when you have been doing it a very long time, you start to figure out which bloodlines work best and how to use them most effectively,” says Heather. 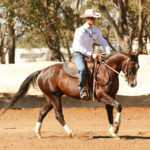 Heather brought Nonda Night Bird down South with her from Nonda Downs Station near Julia Creek in 1986, and the young mare – who was trained by legendary horseman Ian Francis – was awarded Junior Working Champion of Queensland as a 2YO, won the Station Hack in Brisbane as a 3Y0 and also placed second in the prestigious Widgee Futurity. In fact, Ian held the mare in such high regard he convinced Heather to send her to stud as a 4YO to make the most of her genetics. Nonda Lets Talk Later & Terry Hall. 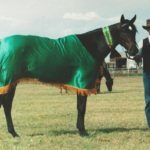 “I thought she was much too young,” Heather says, ‘But once again, Ian was proved to be right on the money.” Night Bird’s grand-daughter Nonda Let’s Talk Later won the Warwick Gold Cup for Terry Hall in 2000 and was the highest scoring horse over the Gold Cup and the Canning Downs. 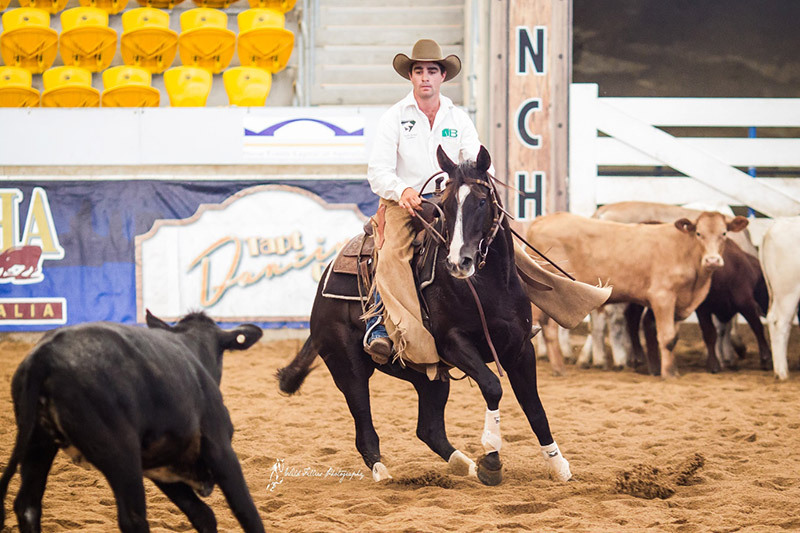 Lets Talk Later also finalled in the NCHA Futurity, the NCHA Derby and then ran second in the NCHA National Finals for trainer Robbie Mackay to establish herself as one of the finest all-round mares in the industry. 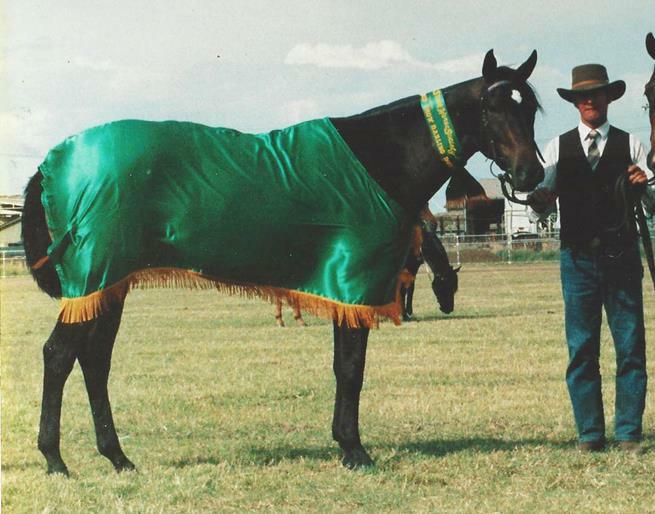 Allnightlong was another of Night Bird’s daughters who produced Bill Willoughby’s champion SA all-round sire Nonda Charlie Peno, while another daughter Nonda Bounceback – who ran second in the novice at the ACA National Finals – is the grand-dam of Nonda Yale, one of Terry Hall’s most exciting young prospects. 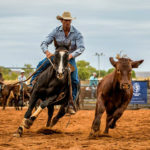 Heather is widely known as the founder of the Cloncurry Stockmens Challenge which she began as a memorial to her father Reg Brown some 33 years ago, and the Cloncurry Challenge later inspired the entire Challenge industry around Australia. 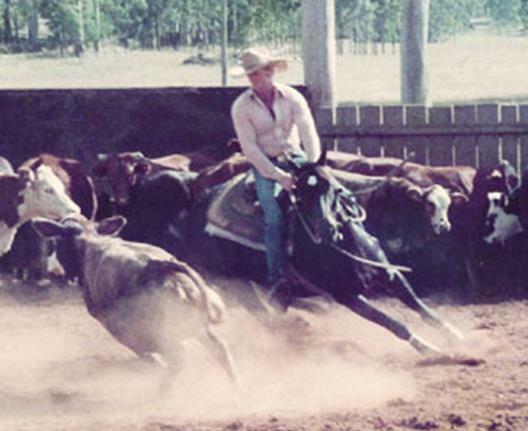 The Browns from Nonda Downs have been breeding horses at Nonda Downs in NW Qld since 1923 and long before that on their stations near Dubbo, NSW well before the turn of the Century. 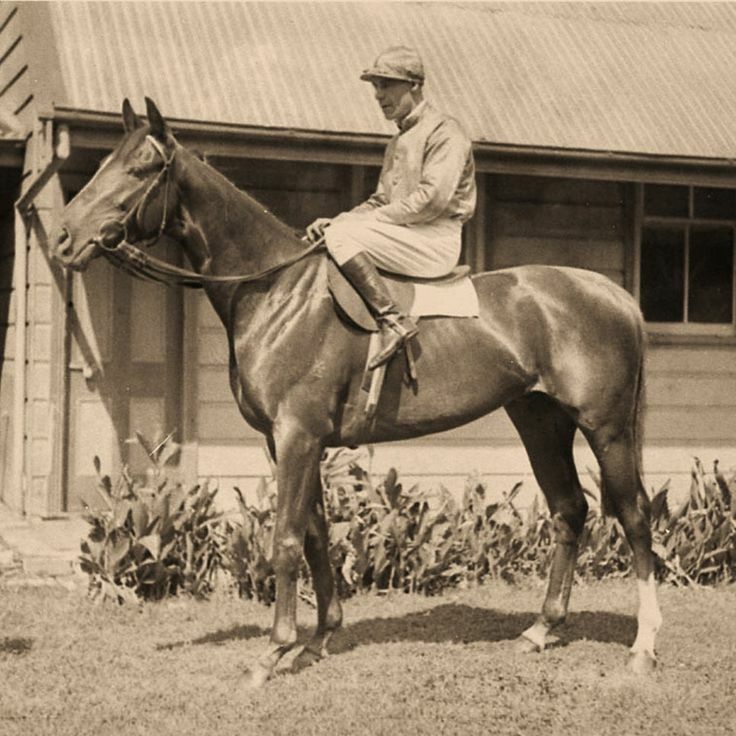 The family produced the amazing Light Horse Dipso, who is honoured in the Australian War Memorial, they bred Russia, winner of the 1946 Melbourne Cup and they also owned and raced Macdougal, winner of the 1959 Melbourne Cup. Denzel. Displayed the X-factor from an early age. David and Heather delivered Denzel in the foaling yard at Plaintree Farms and gave the foal his very distinctive nick-name because they thought he was as handsome as the actor Denzel Washington. “He had these very distinctive ears, and the moment I saw them I knew he had thrown strongly back to my stallion Native Son, who was the full brother to his grand-dam Night Bird. 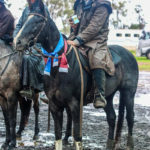 Since David and Heather Pascoe believe in giving back, they will give a percentage of the earnings of Nonda Southern Cross (Denzel) to Beyond Blue and R U OK? So the handsome black stallion is set to become something of a poster boy for these very worthy charities. 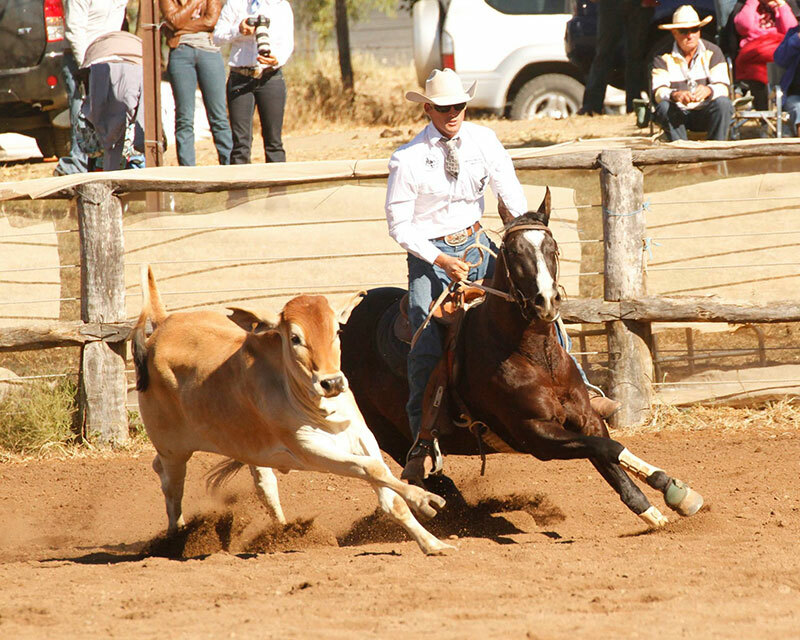 Goondiwindi & District Campdraft Novice A Final – 1st (91). 3rd Overall. Chinchilla Novice – ran a 91 on only his 9th start in a draft. 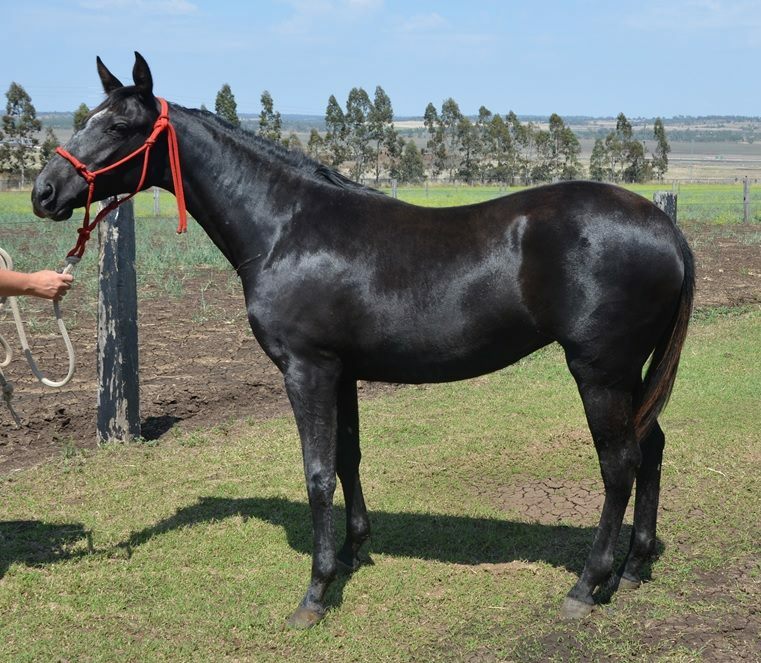 Denzel had 2.5 years off in the paddock due to David & Heather’s other commitments. 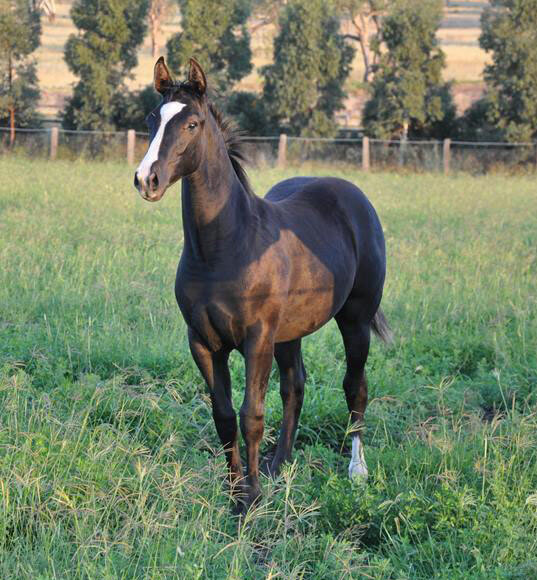 Denzel’s first crop of foals are really outstanding types. 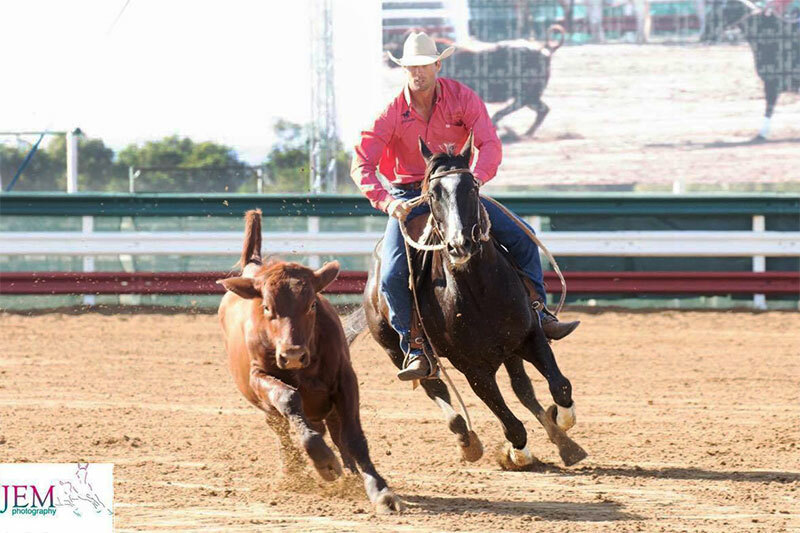 Full pedigree details on the sire side are available on Acres Destiny’s Page. 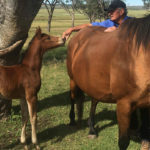 Nonda Happy Ever After (Doc’s Freckles Oak) is a daughter of Nonda Night Bird, a mare bred on Nonda Downs station near Julia Creek in North West Qld and brought south by Heather in 1986. Night Bird is from the time-honoured Nonda Rotorua family which has been tightly held by the Brown family since the turn of the Century. Trained by Ian Francis, she had a brilliant show career. Ian Francis held a very high opinion of Night Bird and recommended Heather to send her to stud as a 4YO. 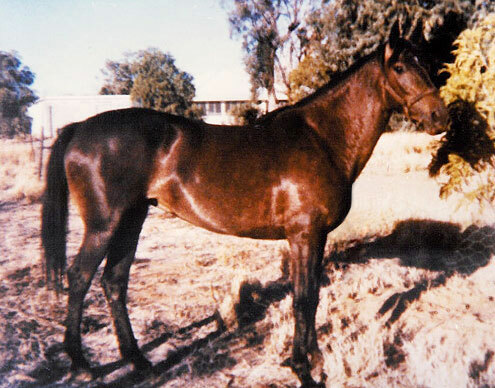 She was bred to Doc’s Boab and produced the filly Nonda Sweet Dreams, whose first foal Nonda Let’s Talk Later (by Doc’s Freckles Oak) won the Warwick Gold Cup for Terry Hall. 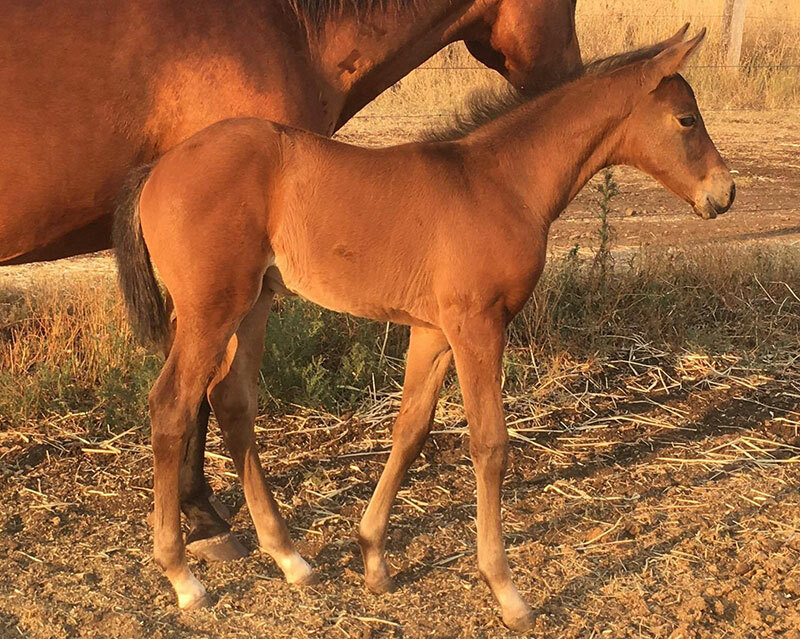 Her other fillies include Nonda Allnightlong and Nonda Happy Ever After (both by Doc’s Freckles Oak) as well as Nonda Bounceback (Rivoli Rex). 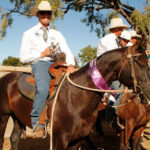 All these mares proved to be exceptional broodmares. 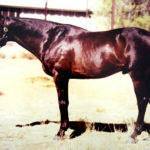 Nonda Native son is full brother to Denzel’s Grand dam Nonda Night Bird. 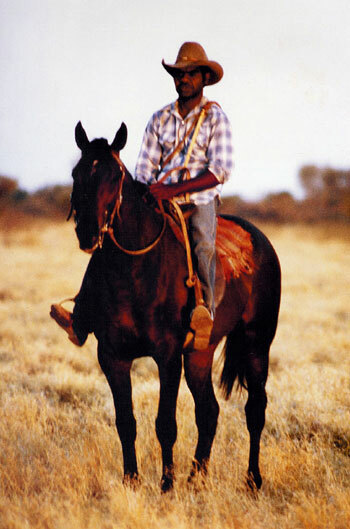 He is pictured being ridden by Johnny Banning a highly respected Aboriginal stockman who worked at Nonda Downs station. 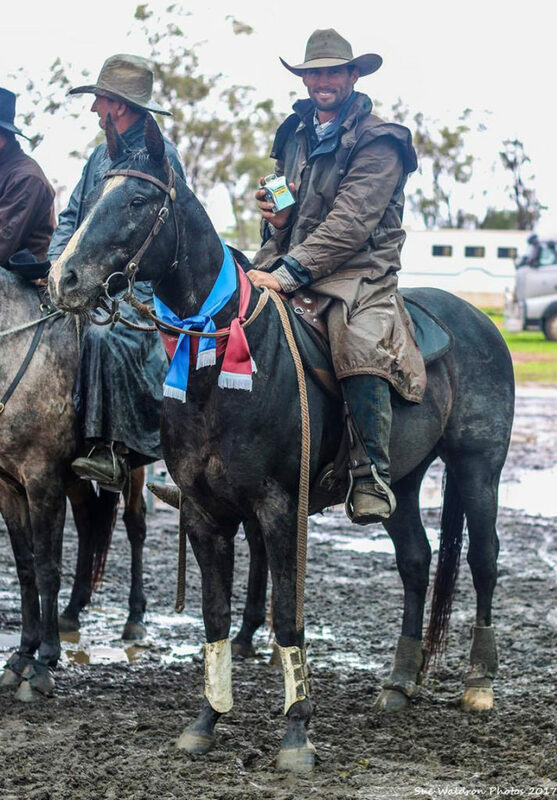 Denzel carries several crosses of Hallmark (Melbourne Cup winner by Heroic by Valais) whose influence was revered by the Brown family on Nonda Downs station. 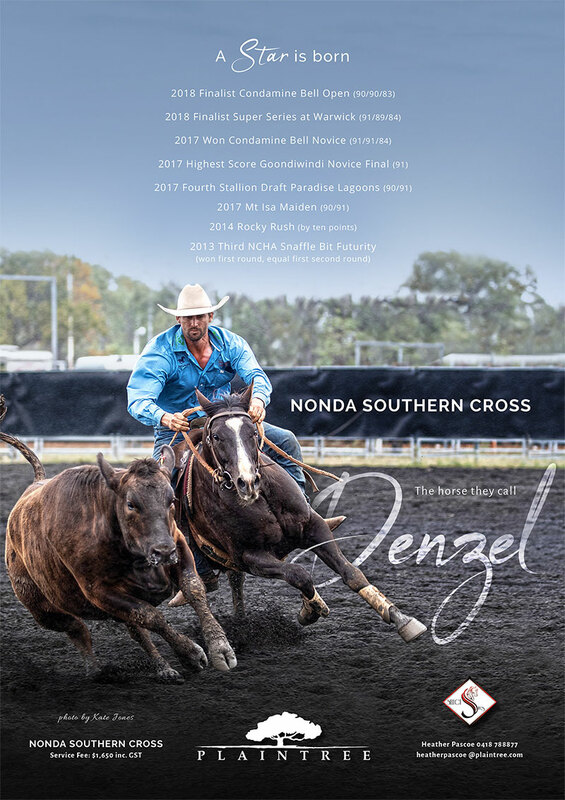 Denzel carries at least four crosses of Nearco through his Nonda families. 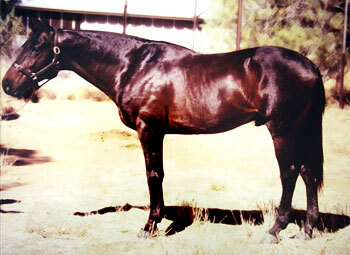 Nearco is a legendary Thoroughbred sire who almost single handedly changed the Thoroughbred breed through his influences. 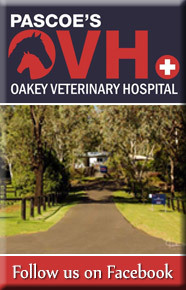 He is honoured throughout the Thoroughbred world. Denzel carries three crosses of Lightning Bar and it’s clear to see that he has thrown back very strongly to him. Not great quality videos but it lets you see how he bounced back into action after his 2 1/2 year lay off. This is a really fascinating comparison. 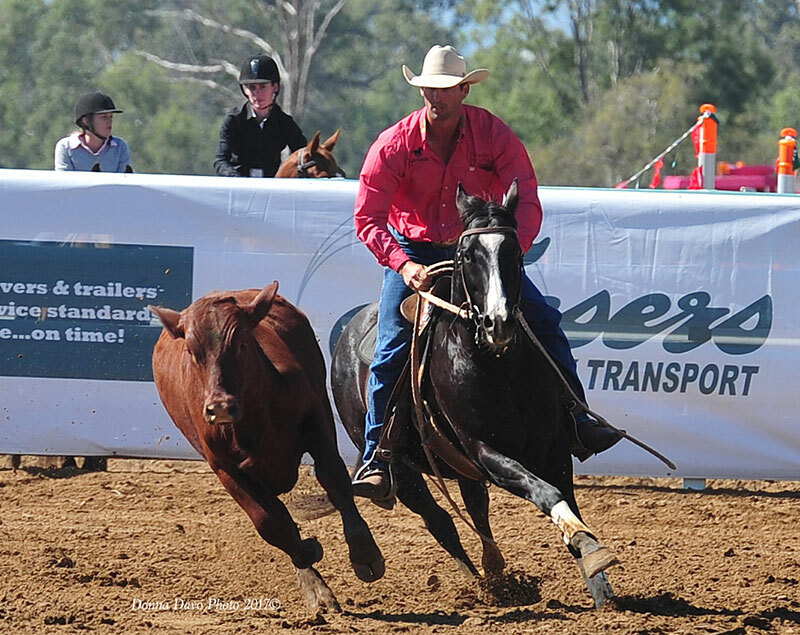 Take a look at Denzels run in the stallion draft at Paradise Lagoons two weeks ago (July 2017) when he chalked up a 90 and then compare it with his run at Chinchilla (October 2014) – see the video below – when he ran a 91. There is almost three years between his runs. This horse spent two and a half years doing nothing in a paddock while David and I were distracted in the ongoing battle to save our farmland and our water from the ravages of mining.Added to this is the fact that Denz has only had a handful of runs since he has been back in work again with his trainer Jon Templeton. So what really made the difference? 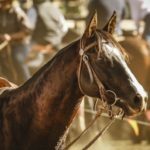 Terry Hall assures me that really great horses figure it all out for themselves if they are given time to think about things – as well as a kind set of hands to work with them and guide them along the way. Both Romance and her son Conman were broken in and then given long stints in the paddock, either through injury or simply being spelled.It makes you wonder how much these wonderful animals really know all by themselves doesn't it?I guess we don't wonder about our good working dogs. We don't assume we need to teach them, rather, how much is bred into them. We believe it's the same for our horses, simple as that. I guess if we allow them to speak, then it is extraordinary what they can teach us. 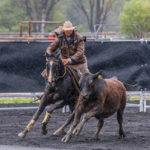 ———————————While we've been a long way South, David and I have enjoyed another great day of campdrafting at Paradise Lagoons with our young stallion Nonda Southern Cross (Denzel) who posted up another 90 and a 85 in the Stallion Draft at today.Denzel finished the prestigious event in equal fourth position with a 175 behind winner Tony Mortimer on a 179, with a two-way split for second with two horses on 177 points and a tie for fourth with three horses on 175 points.This was an amazing effort for a young horse who has only been back in work for three months after two and a half years doing nothing in a paddock.As many people are aware, David andI I have been deeply distracted by our battles to save our farmland and our water from mining, along with so many other courageous Australians. Unfortunately our horses have run a poor second while we have been stuck in the trenches trying to expose so much greed and corruption but thankfully they are now back in work and it would seem that the long enforced holiday has done them all the world of good. Life is strange sometimes, isn't it?We are both deeply grateful to all the hard work done by Jon Templeton and his right hand woman, the amazing Alisha Donald over the last few months. While we are all one big team we could never have done any of it without them, and the love, care and attention they give to Denzel is wonderful. A special three cheers and thumbs up to Tash Templeton for holding the fort while Jon has been away on the Northern run with all of his clients horses. We salute you Tash and thank you for your understanding and patience. Our sincere congratulations to Tony Mortimer on his lovely win today and all place getters and competitors. Special thanks to the entire committee at Paradise Lagoons for the extraordinary job they have done running this massive event. As the old old saying goes, we have only just begun. 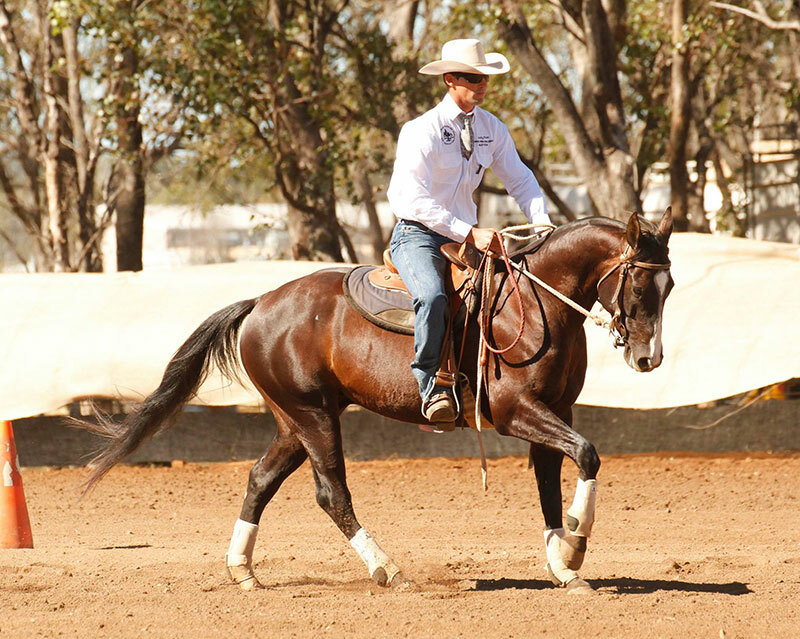 Denzel is clearly a pretty special young horse with a distinct style all of his own. 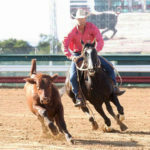 He is a born natural who had worked his cattle with his own easy flowing style since he first stepped into the arena.Over the last two weeks he has run three 90's under three seperate judges – not bad for a young very inexperienced horse!As somebody said to us, what Denzel does is really so special because he makes it look as if he's doing nothing at all. 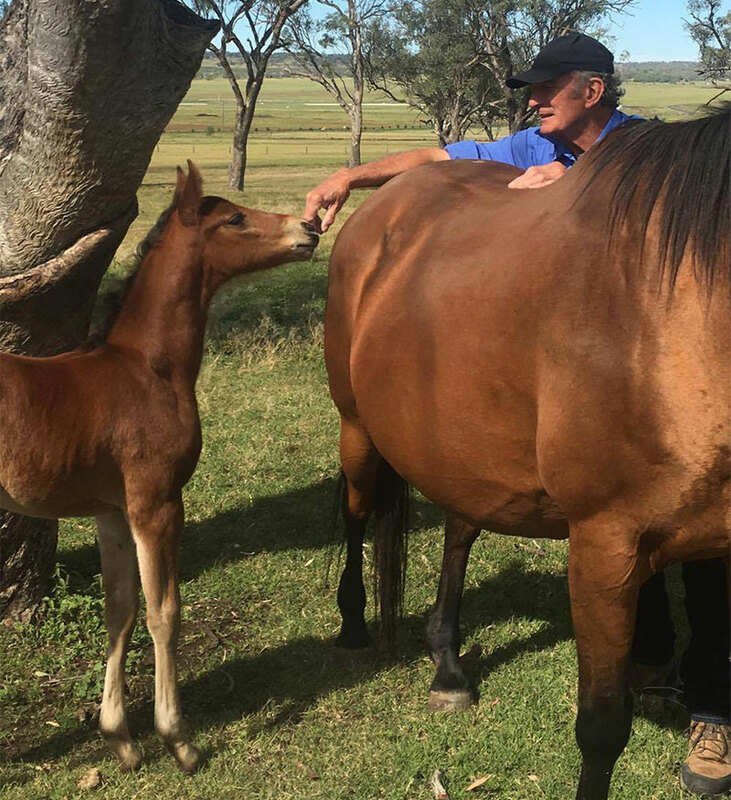 For us, the real pleasure of knowing this young horse is seeing the quality of his foals in our paddocks here at the farm, and we think they are pretty fancy as well. We can't wait to put them in the arena beside him.Denzel comes from the Night Bird family, our favourite old Nonda family, one we're ridden, loved and respected for over a hundred years.His 'Aunts' – the sisters and half sisters of his dam Happy Ever After – have already produced Terry Halls Warwick Gold Cup winner Nonda Let's Talk Later, Bill Willoughby's much decorated SA champion Nonda Charlie Peno and other handy young horses that Terry Hall has tucked away up his sleeve he plans to step out soon. Watch this space! 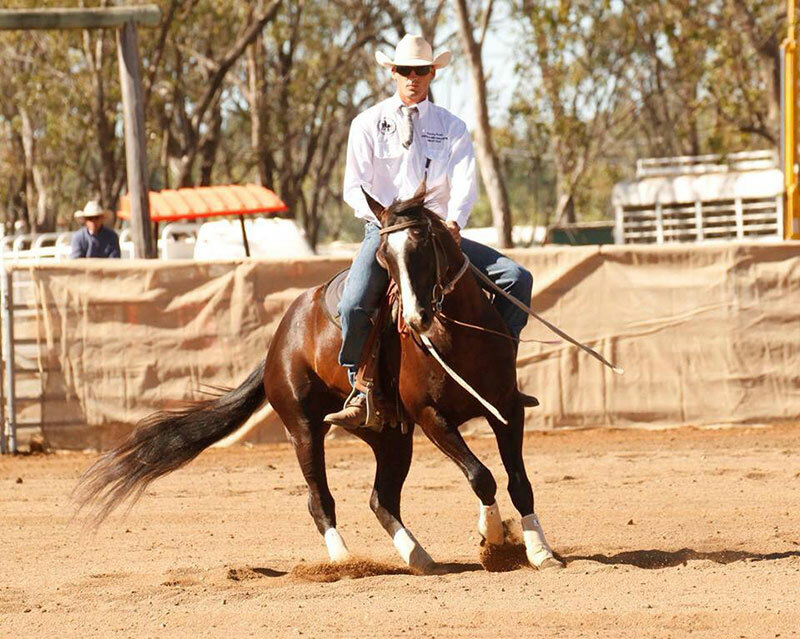 This is Nonda Southern Cross – Denzel – running a 90 (22, 64, 4) in the Novice at Paradise Lagoons yesterday. The video is a little soft in quality but you can see how much he loves his cattle. Not bad for a horse back three months after two and a half years spent standing in his paddock. 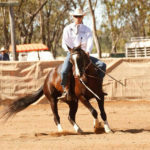 Lovely work Jon, great to see such a happy horse.Thank you Alisha for tracking down a video for us, much appreciated.